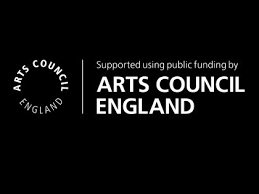 Red Herring, The Bureau of Silly Ideas and Bicycle Ballet (all outdoor performance companies) have formed a consortium called Carrot which is being supported by the Arts Council as part of their Catalyst: Evolve Programme. Initial funding allows us to undertake fundraising strategy, looking outside regular public funds for money and they will match funds raised. Furthermore, we will be working to share our learning – successes and challenges – with the Outdoor Arts Sector in 2018 and beyond. You can find out more about the programme here.